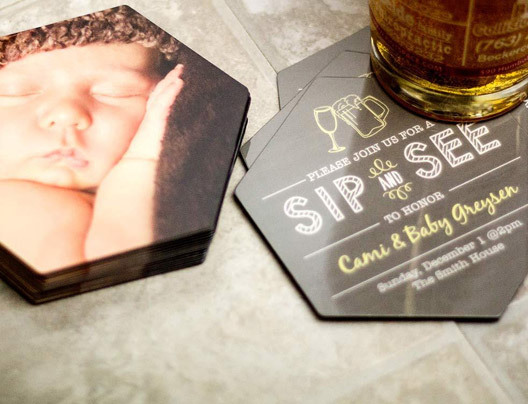 Custom Coasters | Plastic Printers, Inc. 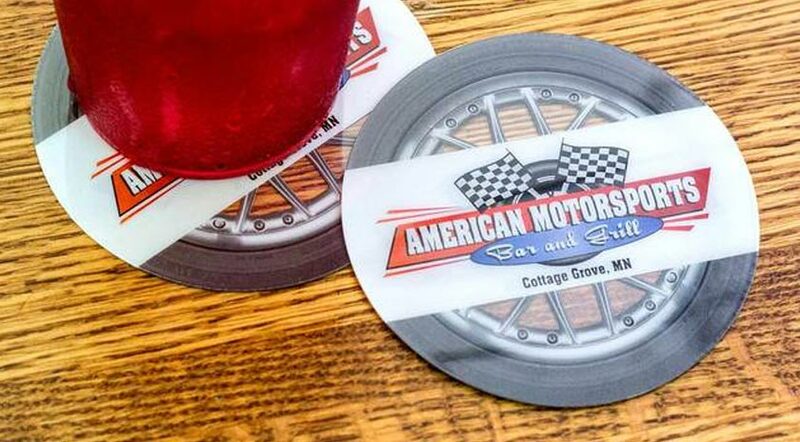 Custom coasters that are durable and waterproof makes them stand out to your customers. 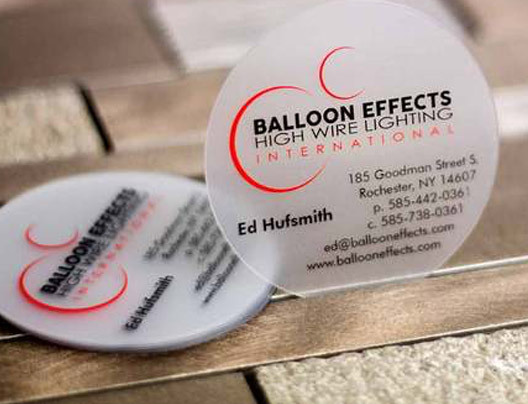 Incorporating your business logo and information elevates your coasters to marketing tools for your business. 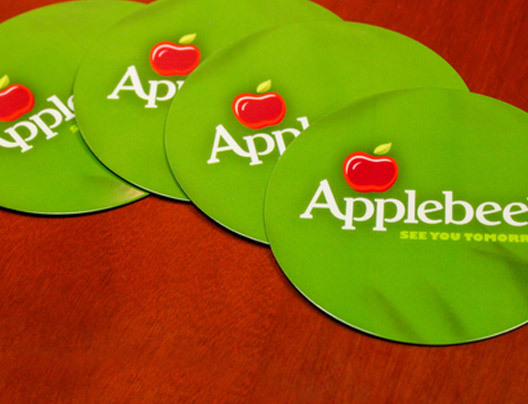 Custom coasters are a high-visibility promotional product! 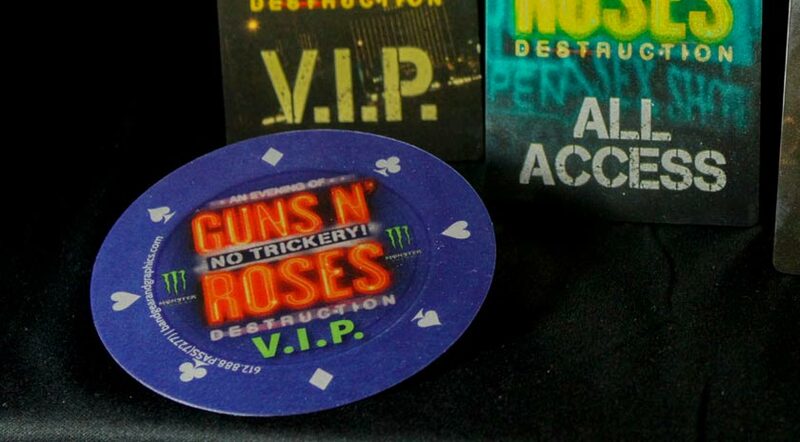 Coasters are not just beneficial in preventing the surface of tables from being damaged, they offer unique opportunities to get your custom message out, build brand recognition and get your business recognized. 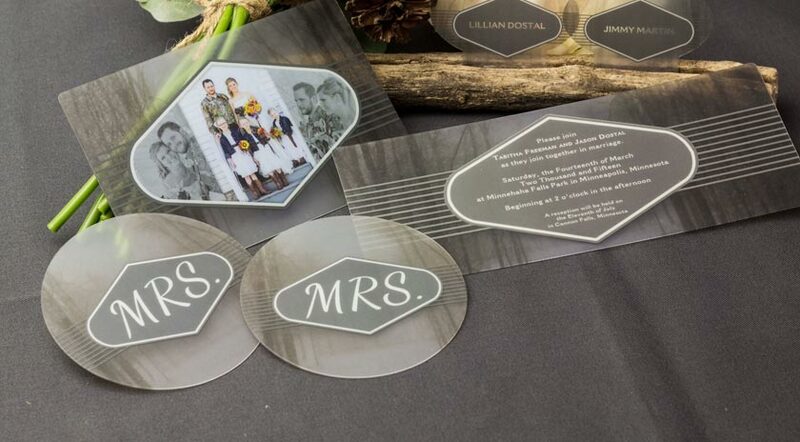 Our talented team of designers are excited to show you proofs of what your custom coasters could look like. Feel free to give our team a call to start your complimentary proof today at 1-800-808-7472. Send us your logo and we will do the rest. 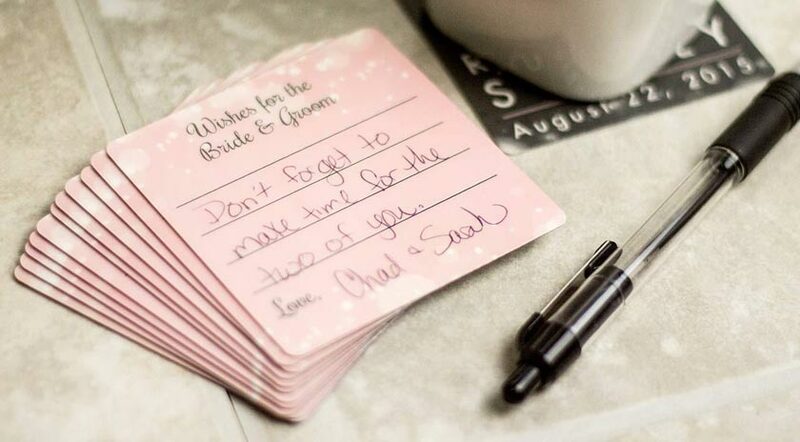 Plastic coasters last much longer than cardboard or paper because they are waterproof. 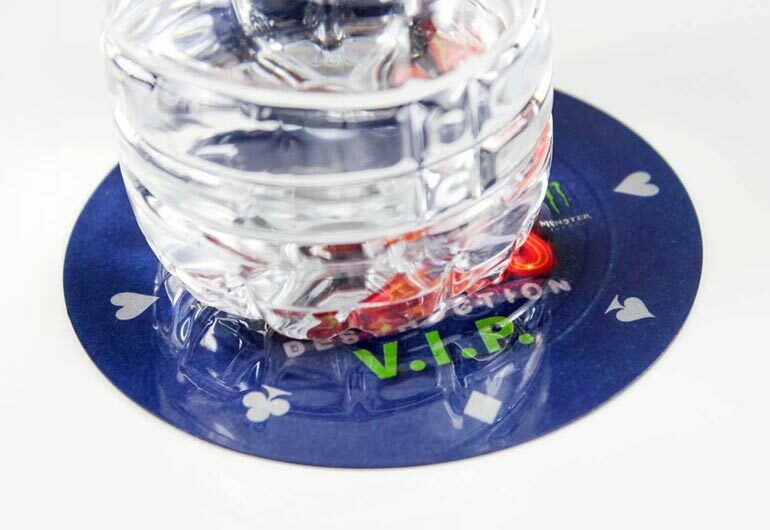 Not only are they are made to protect your tables from drink glass rings, they also protect your message and preserve your branding from becoming unreadable or unrecognizable. Many businesses engage with their clients in person, however they rarely think about the opportunity of leaving behind a useful item. 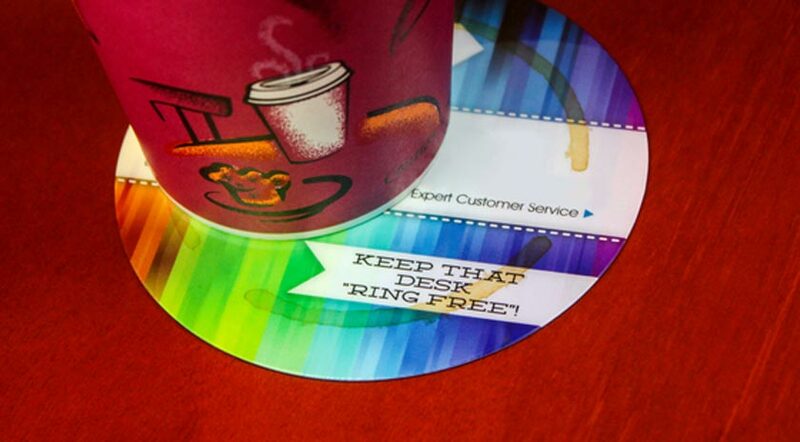 Instead of an ordinary business card, why not hand them a circle plastic business card for them to use as a coaster? Always be selling (and Marketing)! 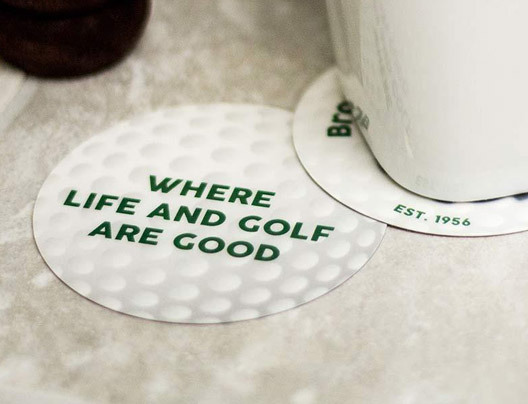 Printing custom coasters and handing them out to local businesses, bars, restaurants, events, trade shows or even to residential homes can give your business exposure to your target market in a fun, creative way. Coasters Keep your Tables Ring Free! Let’s get started on your custom coasters.